Bed bugs are on the rise here in Northern Colorado, and to combat these pests you will want to choose the most effective bed bug removal solution. Once you have an infestation, bed bugs won’t just go away on their own or with the use of unreliable DIY methods. For store-bought chemical sprays and pesticides to work, the chemical must come into contact with bed bugs. Not only are chemicals ineffective, they pose health risks to humans, pets, and harm the environment. What’s more, bed bugs hide in objects around the home that people use every day, such as inside the folds and creases of upholstered furniture, and more. When it comes to bed bug treatments, don’t go with just any pest control company, when A2B Solutions provides residents in and around Boulder and Longmont with the most effective bed bug treatments. At A2B Solutions, we are fully committed and determined to provide safe, effective, and permanent bed bug removal for Boulder and Longmont. In all our years of fighting these intrusive bugs, we have determined that using heat is the most effective human, pet, and environmentally-friendly method for completely removing bed bugs from your home. Bed bugs have built up a resistance to chemicals, making expensive and lengthy treatments rather ineffective. Instead, we use electric heat or clean-burning propane, and raise the temperatures inside your home above the kill point (130°) to 145°, ensuring that our bed bug treatment is 100 percent effective, every time. Rather than spending your hard-earned money and time on ineffective bed bug treatments that could take months to even begin showing results, call the bed bug exterminators who use the most efficient methods for permanently removing unwelcome pests. As the Top Rated Local® bed bug removal team in Boulder and Longmont, we will eliminate bed bugs from your home in one treatment that takes eight to twelve hours—it’s the most effective, over and done solution. If you or someone you know has a bed bug infestation, call our team today and request a free consultation.  We back every bed bug heat treatment with a 100 percent guarantee! Be sure to check out our FAQs and Debugging Bed Bug Myths pages to learn more about these pests and how we get rid of them for good.